Quote: Anand Sanghvi went from a $5,000 prop trading account to managing his own hedge fund by developing his own options pricing formula and learning to read the pulse of the market in the tape. He started from the bottom and made money the only way that made sense to him. That meant avoiding what nearly everyone else did. Enough bouncing between sketchy forums, Twitter gurus, and pop-ups promising 99% win rates. 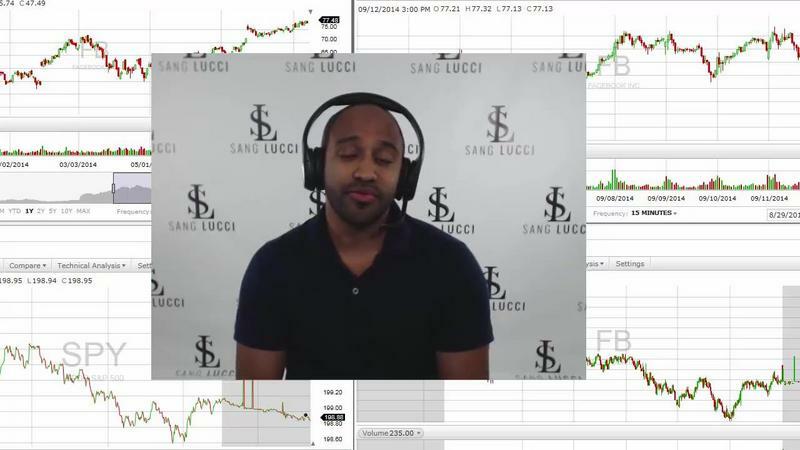 Experience a truly immersive trading education by learning up close and personal with Lucci himself. Right now you look at the markets and see chaos and confusion. Sixty days of live mentorship and support replaces that noise with high-profitability setups and life-altering risk-reward opportunities. No more getting manipulated by market makers and large players targeting commonly used technical levels. Tap into the flow of the markets. Achieve a deeper understanding of what's causing moves so you can trade with them. Understand how to perform ideal entries and exits as well as advanced strategies like sizing into trades. There's no better way to learn the tape than to trade next to a master! Reconstruction of Lucci's actual options and equities trades from the previous week so you can see what does and doesn't work in current market conditions. Open forum for asking your questions on anything from that week's trades to course topics to your own trading psychology. Actively participate or sit back and learn from the questions asked by others. Macro and sector evaluation, regime change anticipation, and sentiment overview based on the previous week's action. In-depth breakdown of the most difficult part of what Lucci does: reading the tape. See what he saw and how it informed his trades. We know how to make you a trader. We show you exactly what works with video demos, in-depth written explanations, and real-life trade examples. You'll be staring at the path to profitability every day that you trade. The building blocks of your trading education such as candlesticks, short selling, price action, breakouts, and the essentials of technical analysis. Options & Lucci's pricing equation. The variables in Sang Lucci's unique method of pricing options and how to put them to use. An in-depth training on what comprises the tape, how to read it, and key dynamics to look for while trading. Learn the skills the separate professionals from the rest. Trading psychology: Yours and the market. Master the psychology of the crowd and your own mind. Learn how to customize our techniques to fit your individual account size, risk tolerance, and temperament. Combining tape reading & options. The actual methodology used by Lucci, every day, to trade options. Choosing & using your trading platform. Trading platform priorities and how to arrange your trading screen(s).